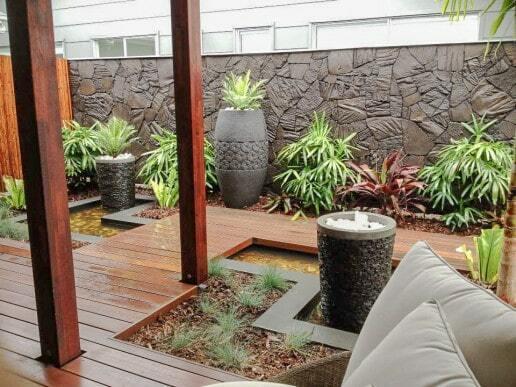 Wall Cladding offers a lightweight non-structural material used to add colour and bring life to existing walls. 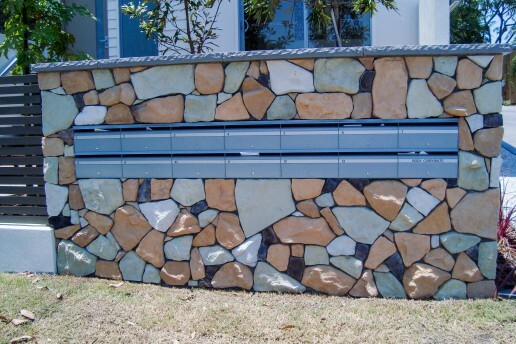 Cladding comes in a wide range of colours and styles giving a unique look to each job. 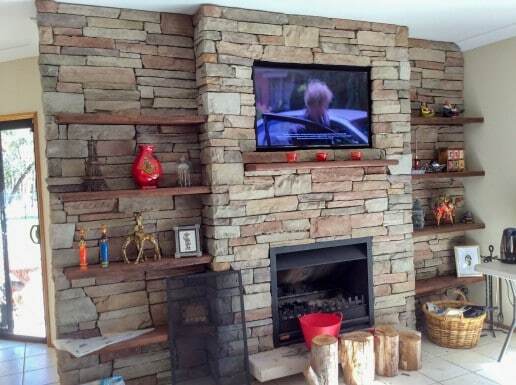 WHERE CAN I PURCHASE STONE CLADDING? 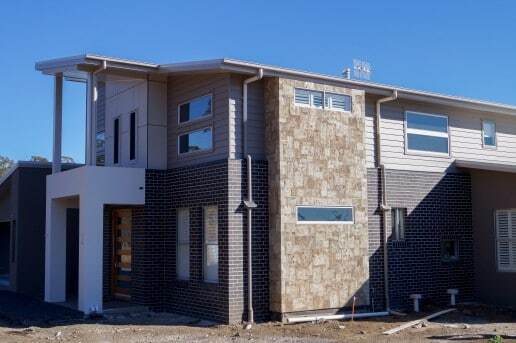 – Boral Bricks and PGH supply Cultured Stoned. 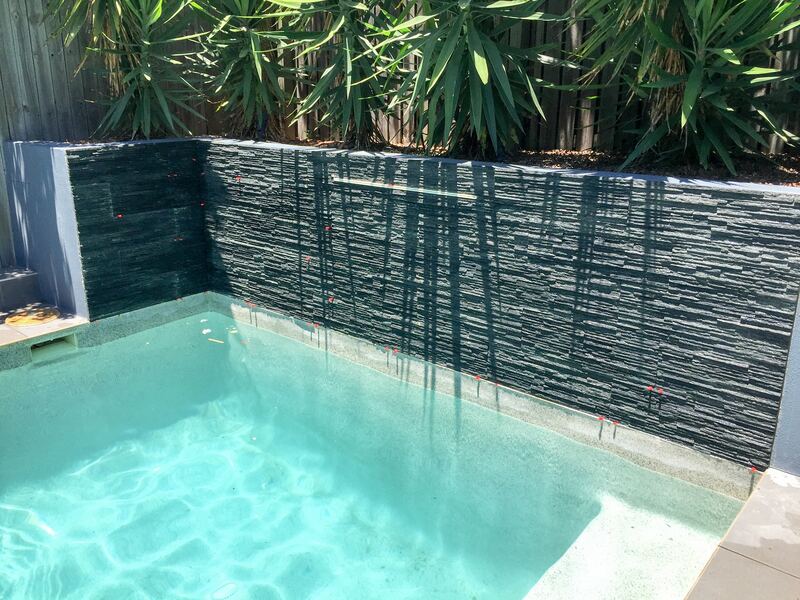 With the large variety of natural and artificial stone cladding available, you are installing stone cladding a great way to some interest to your property. 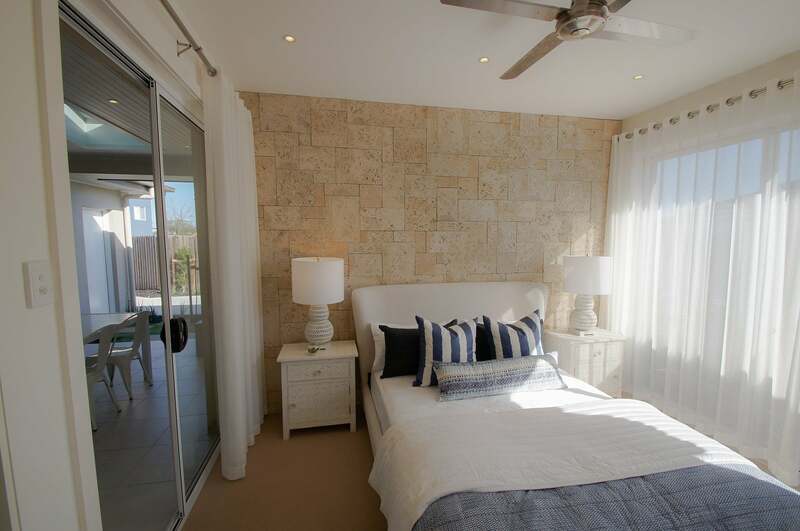 Its primary purpose is to improve the aesthetic appeal of the property and increase its value. Consequently it can also increase durability, improve sound and thermal insulation and enhances a building’s resistance to fire. WHAT ARE THE CLADDING OPTIONS? 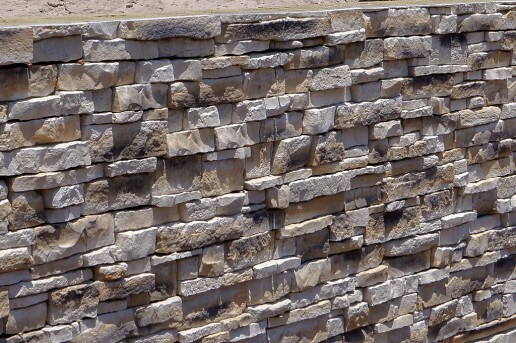 There’s a huge variety of cladding available these days, including reconstituted Natural and artificial stone. 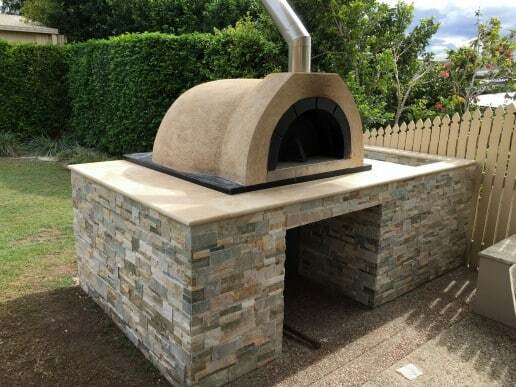 Some of the varieties include Sandstone, Stacked Stone, Brick Cladding Cultured Stone. All have advantages and disadvantages and we recommend investing some time exploring which products will suit your needs best. Stone cladding is a highly durable long wearing product. 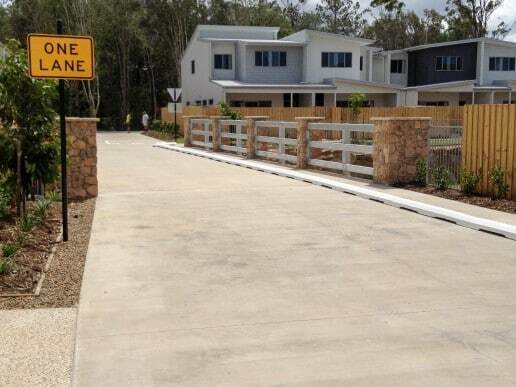 To ensure that it’s longevity it’s vital to choose a good quality product and install it correctly. 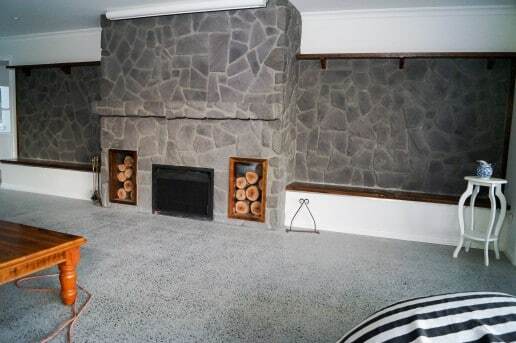 CAN STONE CLADDING BE INSTALLED AROUND A FIREPLACE? 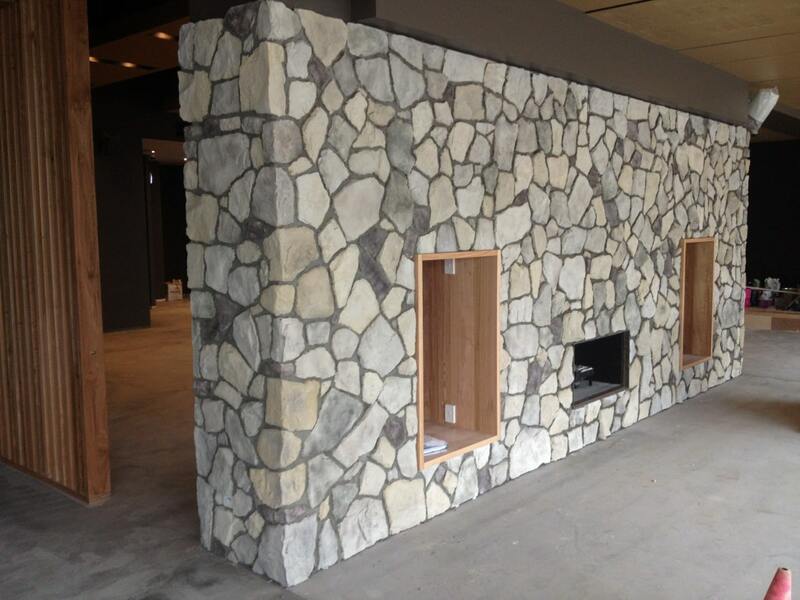 Yes, stone cladding can be installed around a fireplace. There are restrictions around how close the cladding can be to an open flame. WHAT CAN STONE CLADDING BE ATTACHED TO? 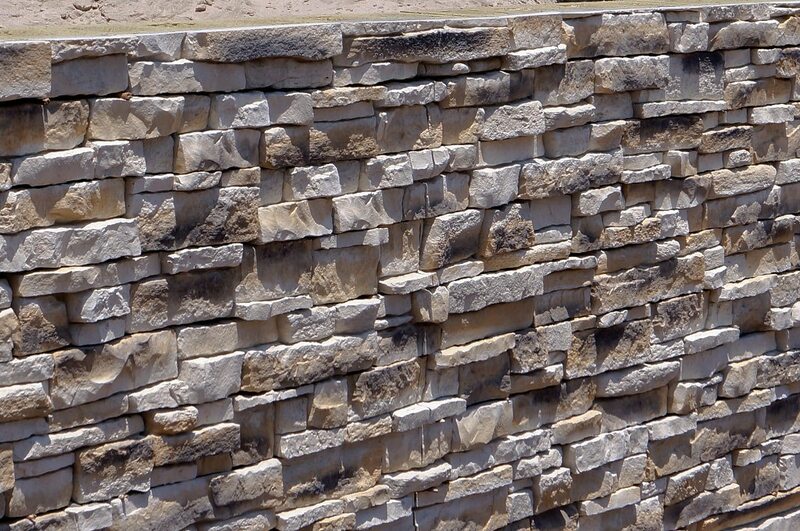 Stone cladding can be quite heavy with artificial stones being up to 50kg/m2, and natural stone is typically around 65Kg/m2 but can exceed 100kg/m2 depending on the thickness. 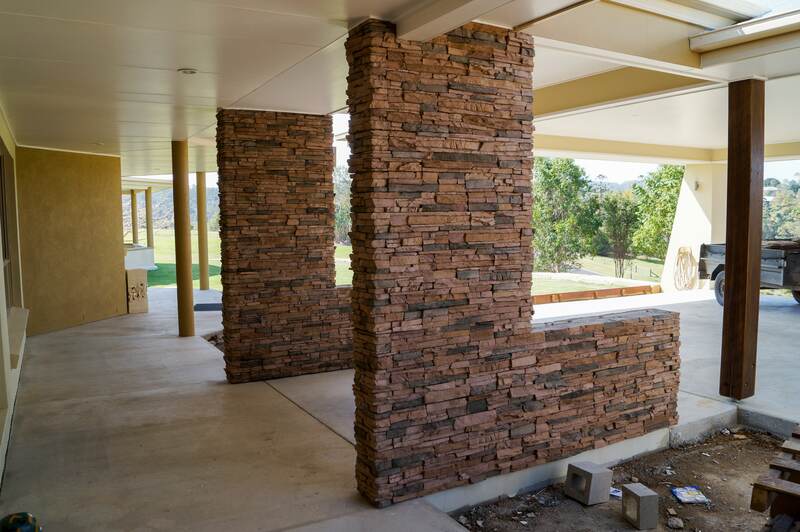 Given the weight, stone cladding must be applied to appropriately built walls including reinforced concrete, brickwork and hebal. 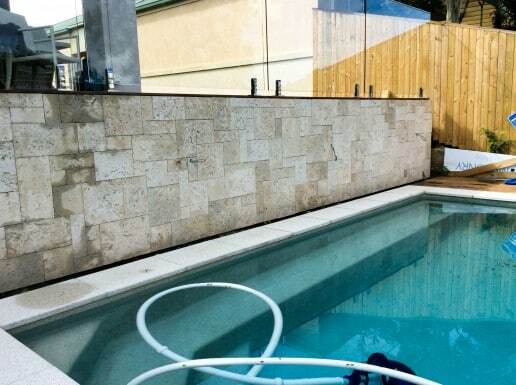 If attaching cladding to sheeting or timber work, the sheeting must be able to support the weight of the cladding, usually, this would be a Compressed Cement Sheeting material. Before installation walls must be cleaned and prepared, there must not be any paint, render oils or other contaminated on the wall. 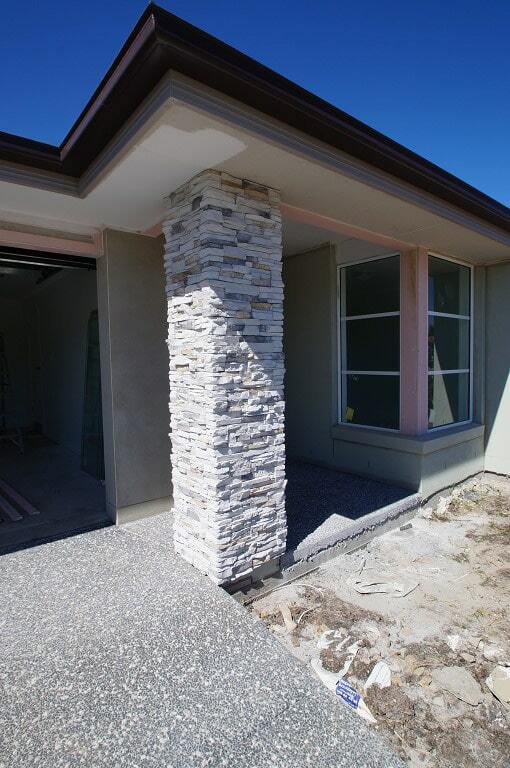 Stone cladding cannot be applied to the blue board or villa board as this is not designed to support the weight of the stone. Once prepared the wall surface needs waterproofing. 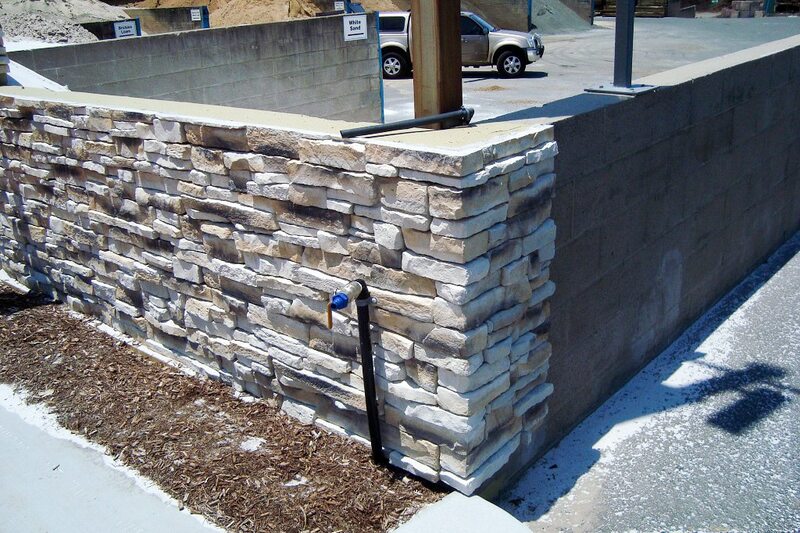 This prevents water and salts coming through the wall which will over time can cause the glue to fail and push the stone of the wall. 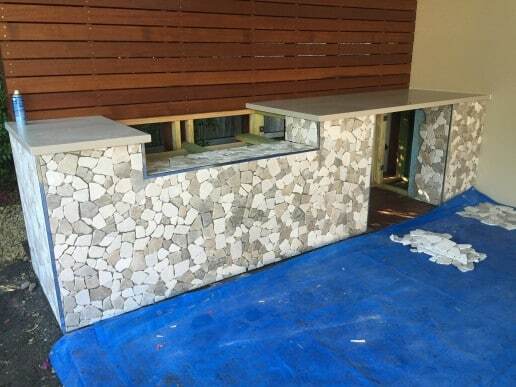 A skim coat applied over the waterproofing to ensure proper adhesion, and then install the stone as per the glueing directions. Finally if desired the cladding can be sealed. 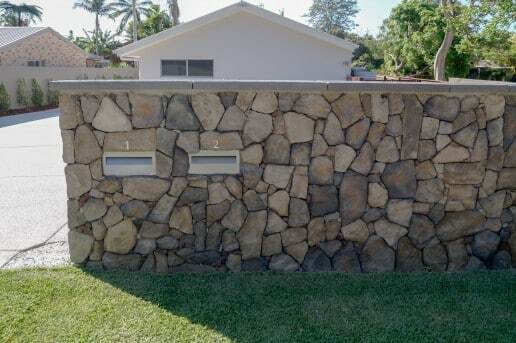 SHOULD STONE CLADDING BE SEALED? The client decides the application type. 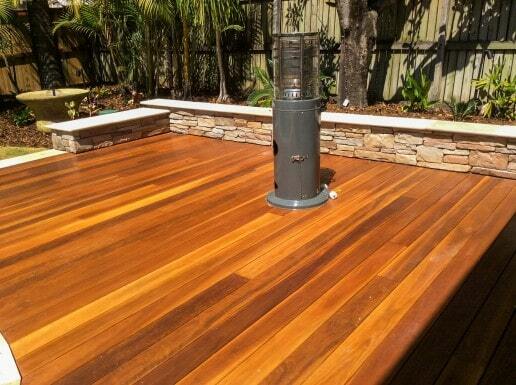 Therefore a sealer may benefit wet applications, and can also be requested to enhance the colouring of the stone. Adding a sealer can also provide added protection to the stone, increasing durability and making it easier to wash.